Typing and handwriting can be fairly contentious issues in education. While there are a lot of opinions on the details, it really comes down to being able to communicate your ideas clearly. When you create a written text, you want to be able to clearly transfer the thoughts from your head onto paper or a screen. Sometimes this is for an audience, and other times it’s just for your own benefit. In this digital age where people are communicating via computers, tablets, phones, as well as in traditional means, fluency and adaptation are key. You need to be able to pick up a pen to jot down your shopping list, while also being able to put together an email in a reasonable length of time. Typing has evolved. Some of you might remember classrooms full of typewriters or bulky computers when you were at school. Now typing is more than just finding the home row on a standard qwerty keyboard; it might also mean using predictive text, voice technology software, or virtual keyboards. Whatever the future holds, it would be hard to deny that students need a basic level of competence with both handwriting and typing. The worst case scenario is not being able to do either particularly well! Hopefully students are learning to write from the time they enter school. There is a lot of research that stresses the importance of picking up a pencil and learning to write in the traditional way. handwriting stamina including whether assessments should be handwritten. 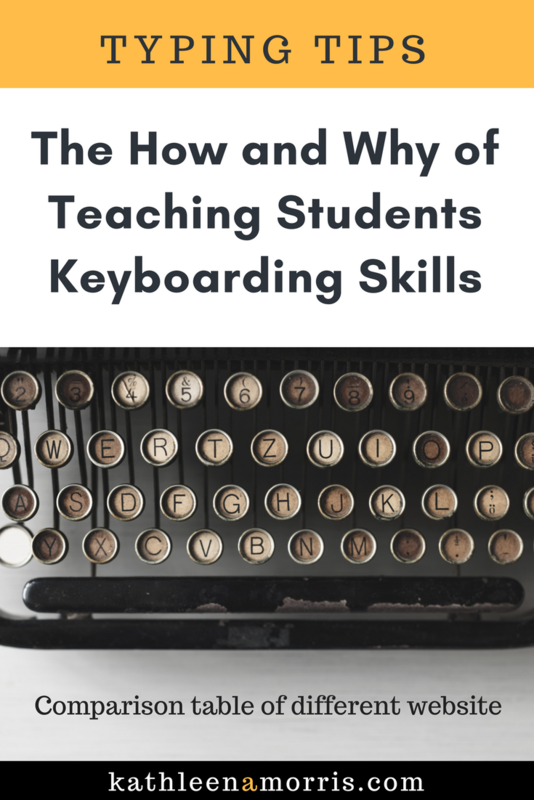 When it comes to typing, it’s also clear that students need some skills in this area. Using a hunt and peck method requires a lot of brainpower. We want our students to be thinking about how to convey their ideas, not wondering where the letter “s” is. The fact is though, people generally end up gaining some sort of fluency with handwriting. It might be messy but most adults are not super slow writers. Is the same true for typing? I don’t think so. Example: I’ve sat in front of a number of doctors who are looking up and down from the keyboard to their screen as they slowly type notes with two fingers. These are highly intelligent people. You’d think if typing came “naturally” then they would have picked up a better method (just sharing a general analogy here; we know many doctors are proficient typists). Surely it would be better for professionals like these to be spending more time listening and relating to you while considering your medical situation, rather than trying to hunt for letters? So here’s my point: a basic standard of keyboarding skills is required and it doesn’t always come naturally. That being said, I can touch type very well, yet was self taught. How Do People Learn To Type? How people get to the point of being able to touch type is something that interests me. I learnt “by doing” while others learnt through formal lessons, however, we both got to the same place. A few years back I ran a poll on my blog asking people how they became proficient at touch typing. The results were interesting. While it’s not a huge study with only 82 votes, you can see that a significant proportion of people who can touch type did learn without formal lessons. I do think the skill of typing is so important that we can’t chance the fact that students will learn themselves. Some tuition and practice is essential. Find devices to use: If you don’t have enough computers for everyone, maybe typing practice can be a station in a rotation. You don’t have to have the newest computers either. Linda Yollis’ students practise their typing on an old set of old AlphaSmarts! Schedule time each week: I used to try to slot in a 30 minute session each week for working on keyboarding. Some people prefer to do a few minutes each day. Whatever the case, make it regular. Include tuition and practice: Give your students a mix of formal tuition in typing (like finger placement) as well as practice time. Have ongoing authentic avenues for typing: Even if you’re only formally covering keyboarding once a week, you’ll want to be giving the students more regular opportunities to practise in an authentic way, e.g. blogging, emailing, typing up Google Docs etc. This can be so powerful! Involve parents: It can be a great idea to tell parents about the resources you’re using to learn keyboarding at school and encourage students to use them at home too. Celebrate: Don’t forget to stop and reflect. Celebrate your students’ achievements. You might even want to tell their parents about their great progress. Make it fun! Luckily, learning to type doesn’t have to be a chore. 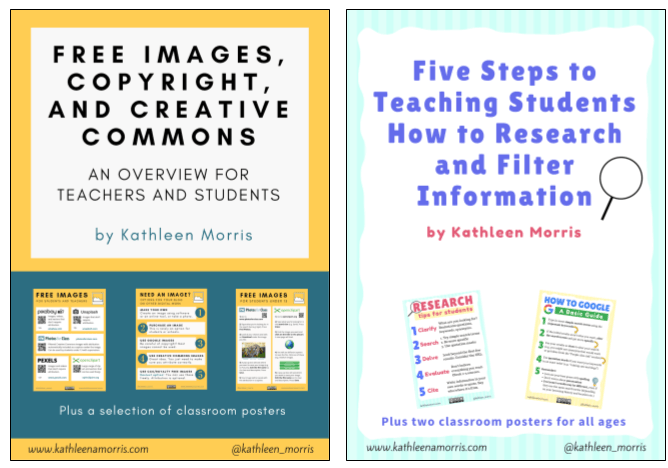 There are lots of online resources and games that your students will probably love. Writing with a pencil is the natural way to begin, however, I think it’s unrealistic to wait until middle or upper primary school to begin any typing instruction. After all, most students now enter school already familiar with using devices or computers on some level. There are so many great games and online tools designed for younger students. Once students begin recognising the alphabet, I think they can begin learning to type. This can complement your teaching of traditional writing and literacy. Some schools of thought suggest that typing might be the new cursive. So instead of investing time in teaching students how to join their writing in middle primary school, perhaps there could be more of a focus on improving keyboarding skills. Of course, all of this depends on your set curriculum guidelines as well. In my experience, I have found the curriculum is sometimes a little vague when it comes to typing and you need to make your own interpretations! Mobile devices like phones and tablets are becoming more and more common both in and out of schools. Does this have an impact on keyboarding? I use my phone all the time for browsing, research, or quick forms of communication. I find it very frustrating to try to write an email, blog post, or any long form of communication on a mobile device. I know I’m not alone. The fact is, not being able to type at the speed of thinking is annoying! So what is the answer here? Some people say learning to touch type on devices like iPads is possible with practice. Do you think so? Or are external keyboards with tablets the way to go? Leave a comment if you have any thoughts on this issue. There are many online resources for learning keyboarding skills that include a mix of options including lessons, tests, drills, and games. These four options should offer something for everyone (scroll down for a comparison chart). Note: I have no associations with any of these sites. 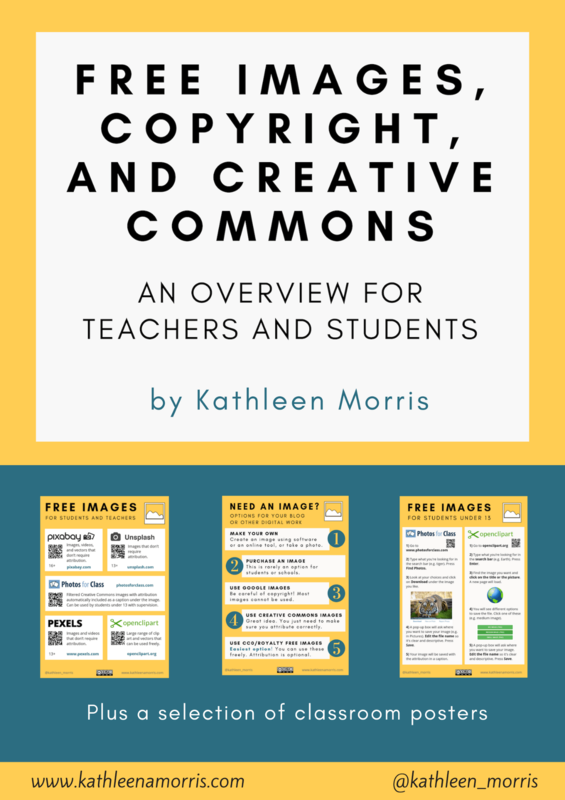 This is a really comprehensive resource with over 600 lessons. The free versions allows you to create lessons for an unlimited number of students (a paid version offers things like no ads, typing tests, an app, and advanced reporting). You can access any lesson by clicking on “get started” if you don’t want your students to sign up. Tutorial videos are very professional and helpful. Overall, the interface is clean and straightforward. This platform is totally free although ads can be removed for a fee. There are lessons, tests, and games for all ages. Teachers can set up a class account to track progress and see what students are working on in real time. If you don’t want to track progress, you can complete lessons without signing in. 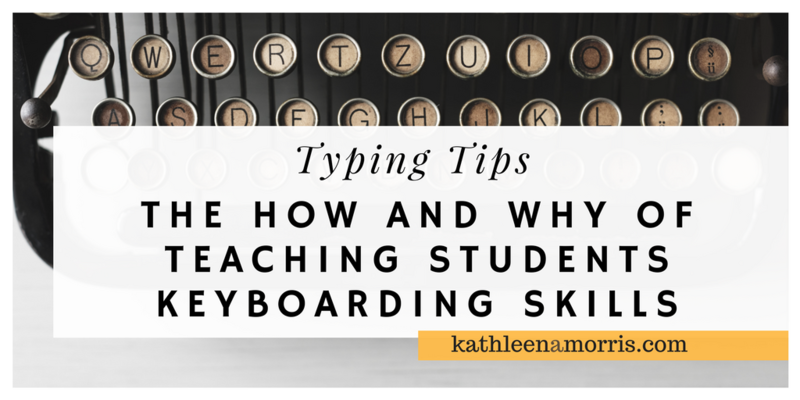 There is a blog to get tips on teaching keyboarding. Typing.com works on computers and mobile devices. This is a games based program designed for younger students. There are three sections: building a keyboard, spotting letters, and practising. Typetastic is designed to work on computers and mobile devices. Downside: I noticed some of the games don’t have verbal instructions which could limit the independence of young students. 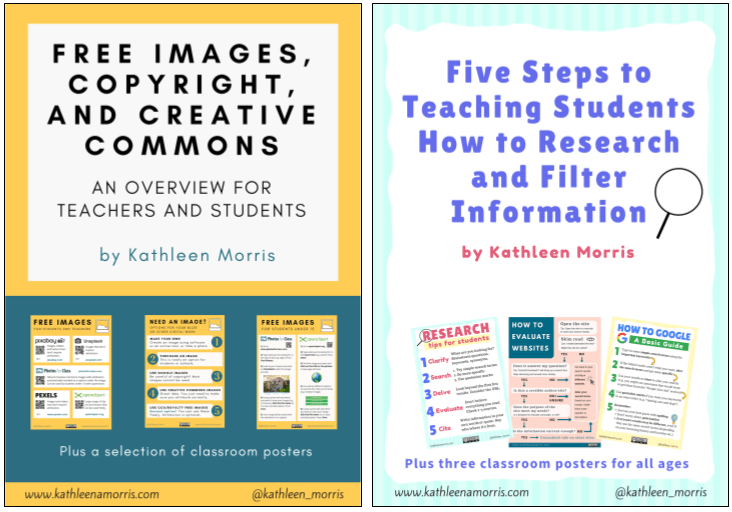 This site is home to a large range of educational games and apps for K-5. The web based games are free (there is a charge for the apps). 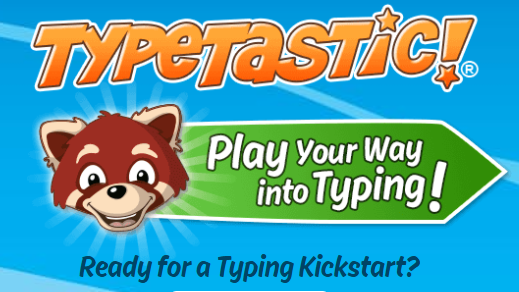 There are around 12 fun typing activities. You don’t need to sign in to access them. Downside One: There isn’t a landing page for all the keyboarding games that I can see. 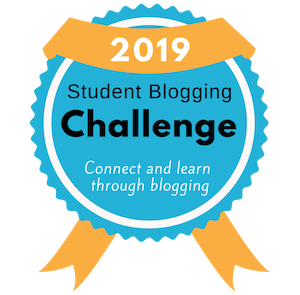 So you’d have to show your students how to navigate to the activity you want them to work on, or add a link somewhere like on your class blog. Downside Two: Many games on this site use Flash which is on its deathbed. For a quick overview, I’ve summarised the above four resources in this table. I truly believe the ability to type with reasonable speed and accuracy helps students to better cope with the digital world they live in. Students are increasingly going to be held back in their school, work, everyday life, and future career if they don’t have adequate typing skills. 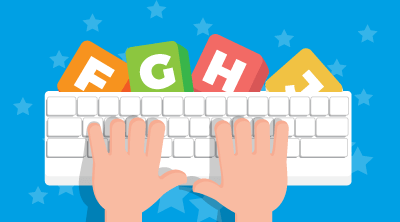 When students can touch type, they can focus more on the important tasks– communicating, collaborating, creating, curating and so on. Perhaps the ideal is still being able to type and handwrite fluently. Or maybe the importance of handwriting will continue to decline? Whatever the case, remember that the scenario we really want to avoid is where students can do neither very well! Add to the conversation! I’d love to hear your thoughts about teaching typing. Scroll down to find the comment section. Thanks for an interesting post. I’m very interested in this as I have a 13 and a 16 year old who both type up long assignments with 2 fingers as they have never learnt to to touch typo. I also teach year 1 and I’m keen that my students don’t miss out on this Important skill. Last week I looked up tying skills in the Australian Curriculum, and interestingly, in the new literacy progression typing skills are mentioned from Year 1. It does seem important that we try to fit into the school week somewhere! Thanks so much for the links to the typing websites. I’ll be checking them all out! Thanks for commenting! That’s really interesting about your own children. And the other interesting question is, will they still be required to handwrite exams when they finish school? I’m guessing yes? That’s really interesting about the curriculum too! I’ll have to take a look. I think I only looked at the Victorian Curriculum and I think it was more about keyboard awareness rather than actual touch typing skills? I hope your Year 1 students might enjoy some of the sites I mentioned! It feels like we spend so much time debating handwriting sometimes that we forget about typing. I really like how you compare the different applications in a concise fashion. You might be interested in this post from Catherine Gatt, in which she reflects on the development associated with learning to type. Ohh that’s a really interesting post about handwriting, Aaron. Thanks for sharing. I tend to agree with what they’re saying. Last year I marked NAPLAN papers. It was a month or more of reading the handwriting of students in year 3,5,7 and 9. Anyway, one of my takeaways was that in general, the papers that were printed were a lot easier to read than the cursive ones! Thank you for Catherine’s post too. I like the scope and sequence she referenced. It doesn’t have to be anything length or complex, but wouldn’t it be good if schools had some sort of framework around typing! Great post. I’m in WA and I’m very concerned my children are not being taught how to touch type (there is not much extra room in a the already very packed curriculum). I’d be interested to here your thoughts as to whether or not you think future NAPLAN results will be impacted as NAPLAN moves to being online? I’m glad you enjoyed the post. That’s a really good question about NAPLAN. I have pondered this myself. Last year I was an assessor for the NAPLAN writing test. It was an interesting experience! “The writing test is not about handwriting skills and NAPLAN Online is not about keyboarding skills. There are variations in how fast and well a student can type, just as there are variations in how fast and well a student can write by hand. I guess we have to trust their research? There are certainly plenty of children who have excellent ideas but just struggle to get their “thoughts on paper” whether this is through handwriting or typing. It’s true that handwriting is not taken into account at all with the NAPLAN writing test. So a child could write an amazing text that’s very difficult to read. I guess the thing with typing is that you can either type at a satisfactory level or you can’t? Whereas with handwriting there is more of a variation (e.g. the writing might be very sloppy but people can still make sense of it). There’s no middle ground with typing. If that makes sense. Certainly in the junior years, you’d think that most students would have had more experience with writing by hand than they have had with typing. This probably changes as they get older? The other issue is that students in the final years of school are having to take their tests by handwriting. This seems a bit crazy as well! Overall, to offer our students’ the best chance at success with all of their work I’d certainly be keen to see schools come up with ways to put keyboarding back on the list of priorities. I know that’s easier said than done but let’s hope! I’ll be following this topic with interest. There’s one problem with typing class, and school in general. State standards. I get why they are there, but in keyboarding, every student is different. Why should the same WPM be an A for everyone? I wasn’t advanced enough for the advanced typing class so they put me in computer tech..meh.. Speaking of which, I need someone to timer me free typing. I get we all copy to learn, but why not test the students free typing to truly know how fast they type? I know I COPY at 25 WPM, but when someone asks how fast I type freehand, I have no answer. Is there a way I could somehow schedule a timing with you? You’re right about state standard. Although as far as I know there are no standards for typing as such here in Australia. I like your idea of timing yourself free typing rather than copying. That makes a lot of sense. Sorry I can’t personally help time you but good luck!